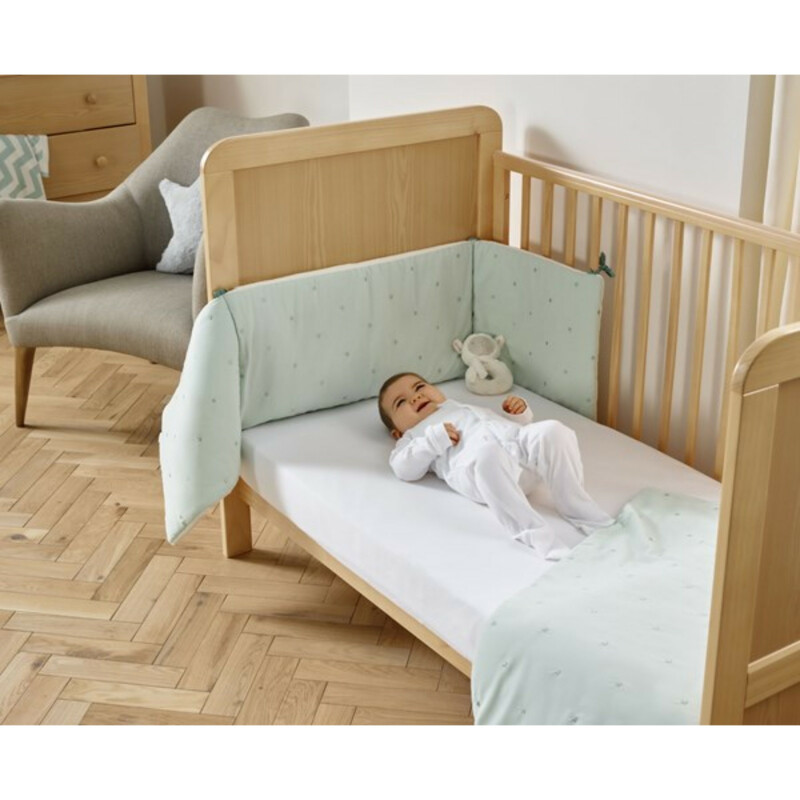 Complete the look by adding the defining touches to the perfect child’s nursery with this luxurious Clair De Lune cot / cot bed bedding set. 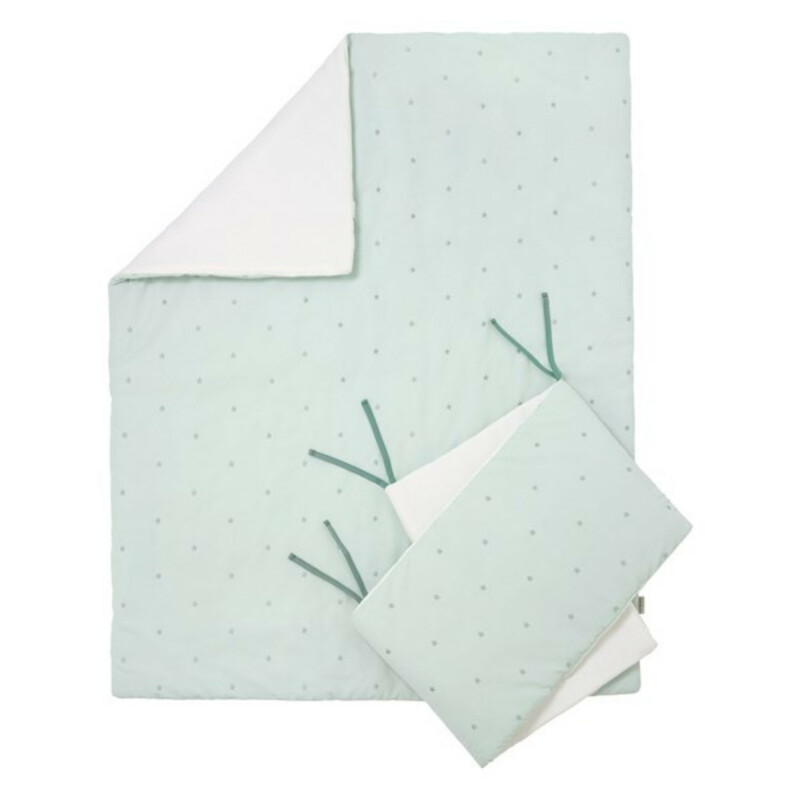 The 2 piece bedding bale provides you with a quilt and bumper, both of which are made using stylish fabrics which will be soft and comforting against baby’s sensitive skin. 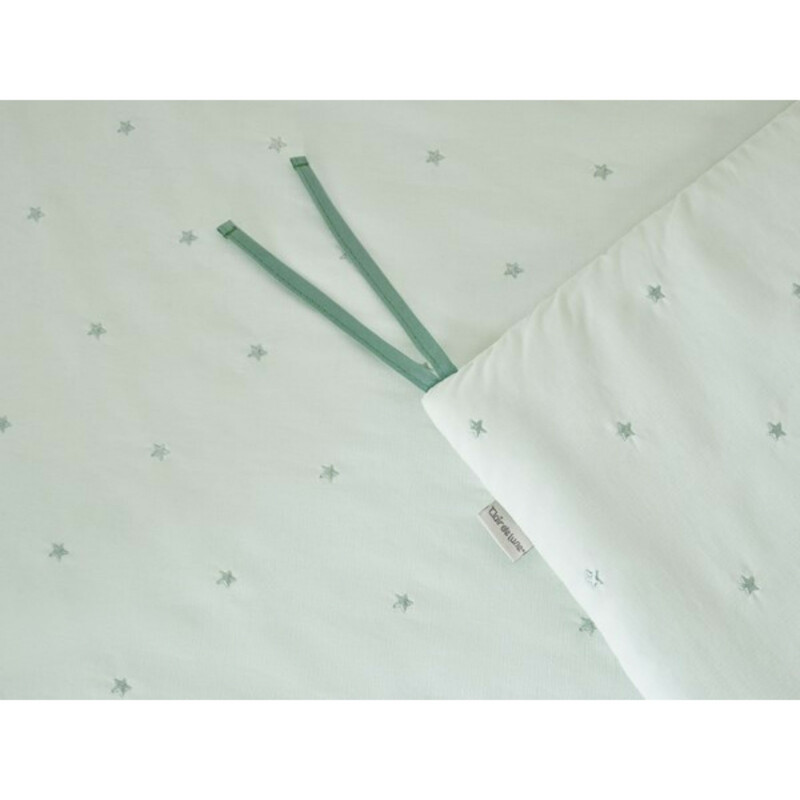 Featuring delicately embroidered stars on a coordinating background, the Lullaby Stars quilt & bumper set is the epitome of style and quality.